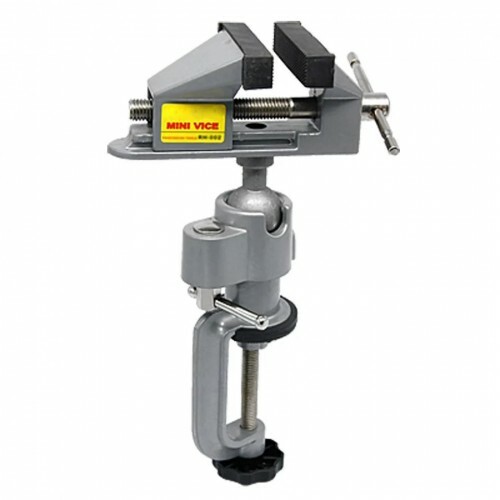 This mini vise is a must tool to have on your workbench. 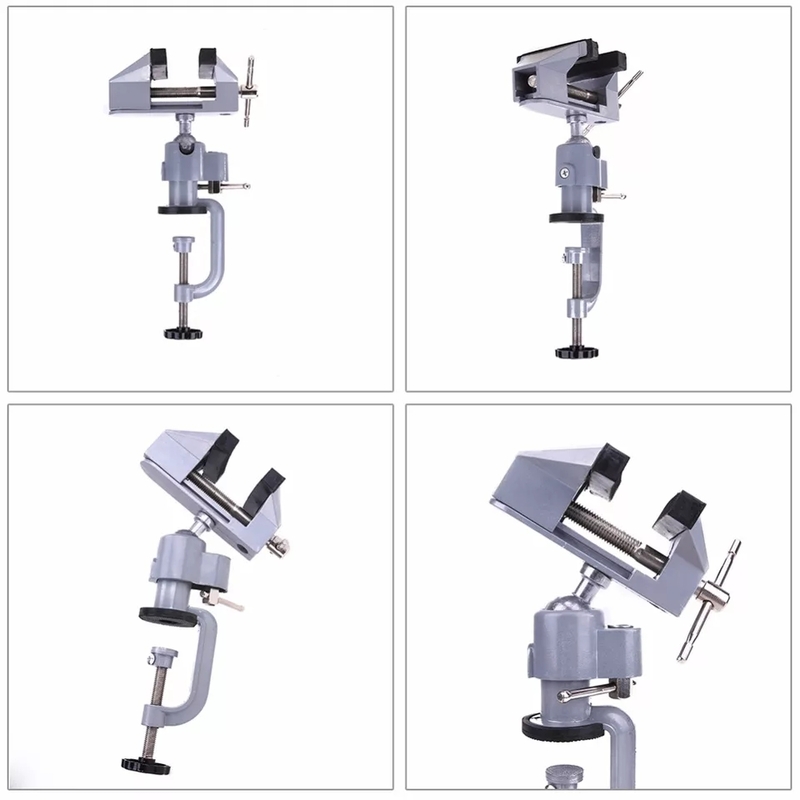 Made up of light but durable aluminium alloy, this universal vise can rotate it's head in any direction uisng a ball provided at the pivot. 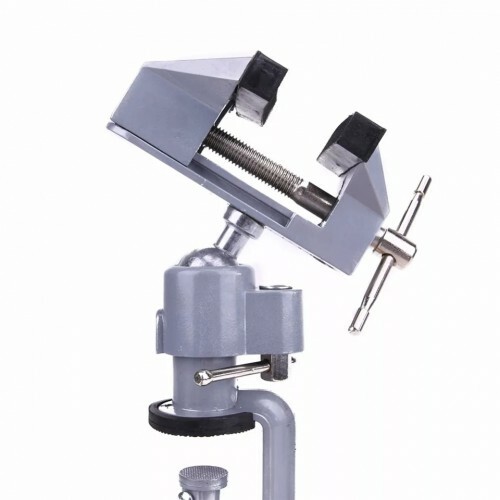 Can be easily mounted on any flat surface using the clamp screw. 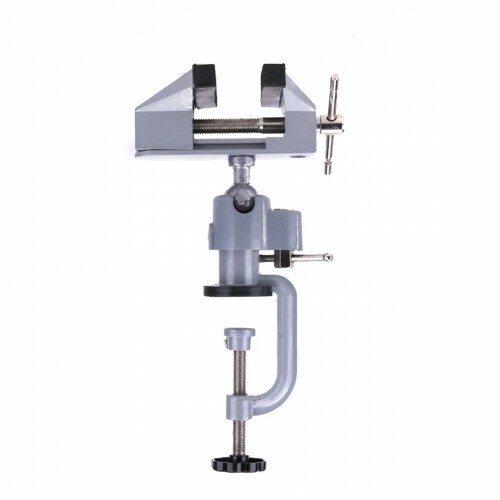 Ideal bench vise for smaller objects such as electronic circuit prototyping, repairing etc. 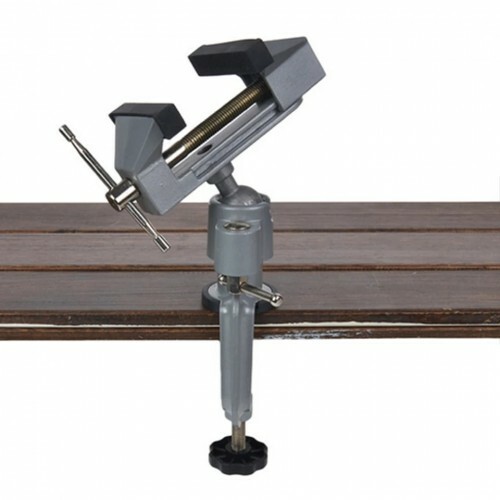 Can be used for Jewellary making, paper crafts and other hobby projects. Clamp to any surface up to 58mm.